This Add-A-Leaf kit will raise the rear of your vehicle by an average of 2". 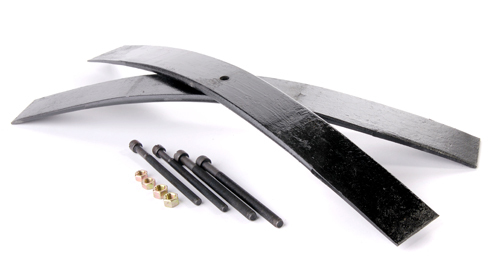 Add-A-Leaf spring lift kits are great for towing or hauling. The Add-A-Leaf increases your load capacity and compensates for added weight in the rear of the truck, reducing rear end sag during towing or hauling. The springs measure 37" long by 3" wide.